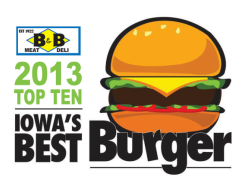 Our Killer Burgers were listed on AmericaTop10.com‘s top ten list of “The Best Burger in Iowa”. 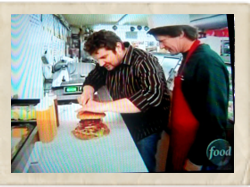 To make our top burger list, these burgers had to consistently receive top marks taste test after taste test! 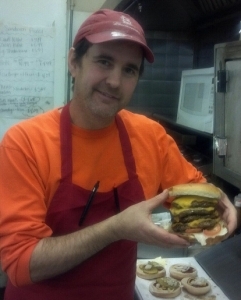 This was research we didn’t mind doing, these burgers also were liked by the widest palette of tastes. 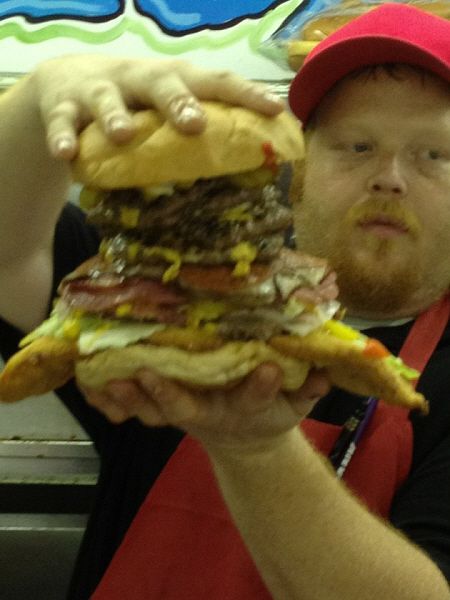 So give our burger list for Iowa a try. The Killossal was listed as one of the “foods you should probably share”! OK. It was actually Good Morning America/Yahoo’s list of “The Fattiest Foods in America: Decadent Dishes from Across the USA”. Iowa: Killossal Sandwich One Killossal sandwich at B&B Grocery, Meat and Deli contains: deli meat, a huge pork tenderloin and a quad burger stack. 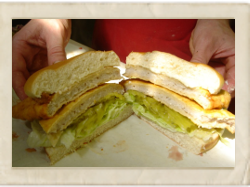 You just have to repeat….it is only a sandwich! 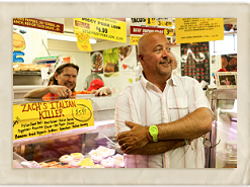 WHO TV came by the Killer Zone to highlight a visit from Andrew Zimmern’s, of Bizzare Foods. Check out the newscast below. 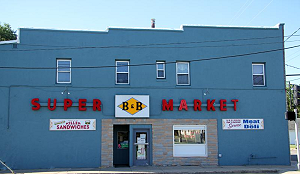 Claire Powell and Jesi Good, from KCCI TV8, stopped by the Killer Zone to discuss Andrew Zimmern’s, of Bizarre Foods, visit to B&B Grocery, Meat & Deli. 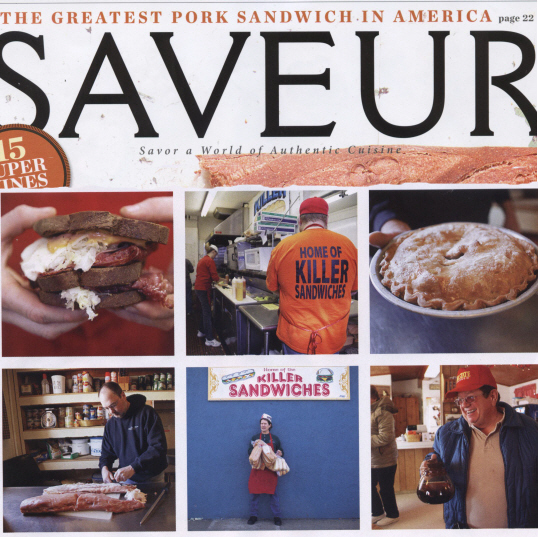 “There’s something really wonderful about coming into a place like this, that has history, that has iconic food that you can’t get somewhere else or can’t get as well, somewhere else,” Zimmern said. Ken Root, from WHO TV’s Agribusiness Report, featured our family butchers on his morning Agribusiness report this morning. Like Dad’s Killer Sandwich at B&B. Is the name letting us know that it’s a great sandwich, or that dads should update their life insurance policy? Thankfully, the thing most likely to be wiped out is your appetite. 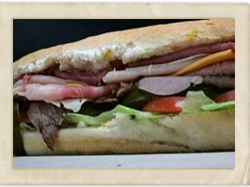 Dad’s Killer Sandwich is a massive hoagie filled with roast beef, turkey, smoked ham and corned beef. Oh, and pepper cheese, sweet cheese and American cheese. 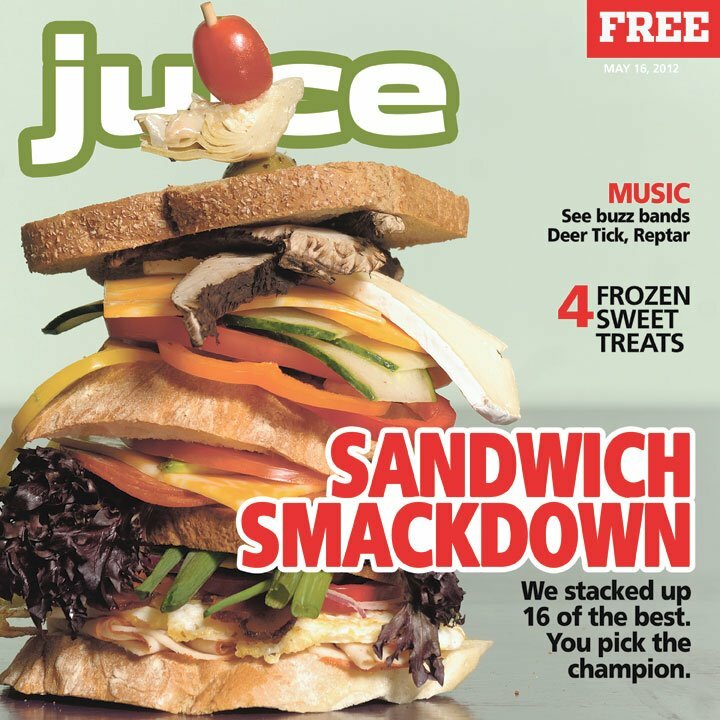 Plus lettuce, tomatoes, pickles, mustard, Miracle Whip and Tuscan Italian dressing. Plus, the article even mentions some of Des Moines finest! 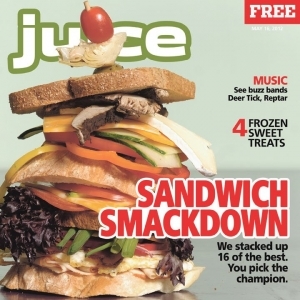 Roadfood.com highlights “great regional meals along highways, in small towns and in city neighborhoods”. 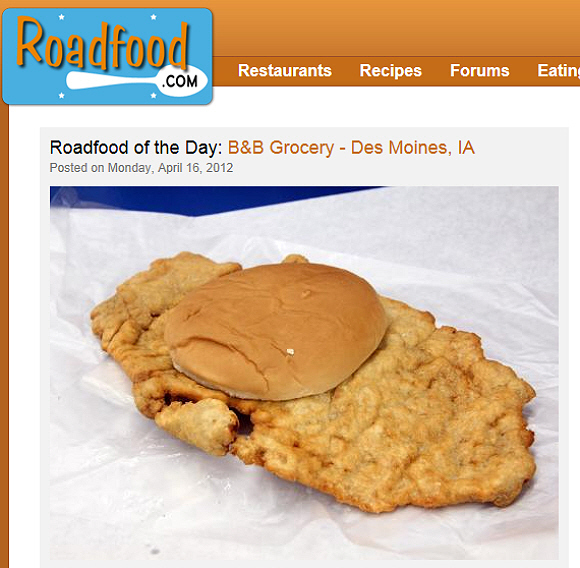 Today, they listed our Killer Tenderloins as the “Roadfood of the Day”! We want to thank each and everyone one of our Killer Fans who voted us as Des Moines Best “Mom & Pop”! Cityview allows readers to vote Des Moines best for various categories. 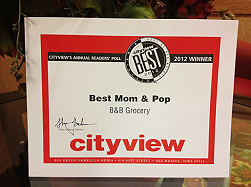 We are past winners and are proud to be considered the Best Mom and Pop in Des Moines. 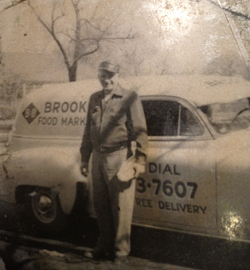 This is a favorite spot to eat or shop for people from all walks of life — like John Brooks from behind the counter says, they see “everybody from the mayor to the town drunk”.